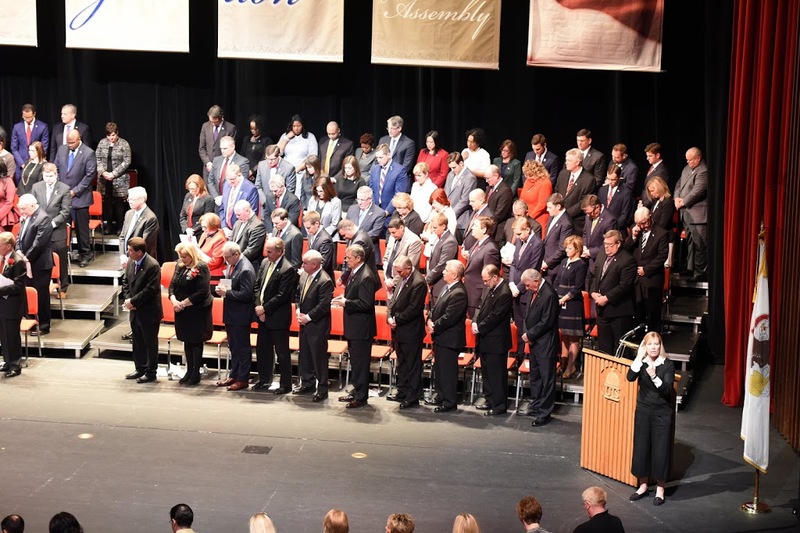 Springfield, IL – Today Tony McCombie (R-Savanna) took the official oath of office at University of Illinois at Springfield’s Sangamon Auditorium in Springfield, marking the start of the 100th General Assembly. Due to the lack of a budget, the state of Illinois is facing unprecedented challenges with day-to-day operations, a shrinking population, and continued job loss. In the face of these challenges, McCombie has prioritized economic development, education funding, and strong constituent service as her top priorities. McCombie was elected to serve the 71st House District this past November. The district covers parts of Carroll, Whiteside, Henry and Rock Island counties. Representative McCombie will be opening her district office, located at 9317 IL Route 84, Savanna, IL, in January. She and her staff will also regularly hold open mobile office hours district-wide starting in Spring 2017.